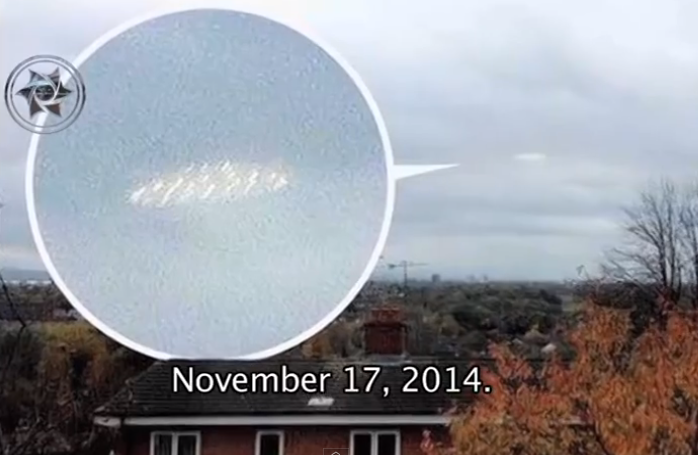 UFO SIGHTINGS DAILY: UFO Ober Manchester, England On Nov 17, 2014, UFO Sighting News. UFO Ober Manchester, England On Nov 17, 2014, UFO Sighting News. On November 17, 2014 in Manchester, England John Hindley 35 observed a strange saucer-shaped object flew over the Pennines a mountainous formation in southern Scotland and northern England, analyse the images and compared this case with a photograph taken at the zoo Animaya in Merida, the December 4, 2014, where you can see an object of the same characteristics.